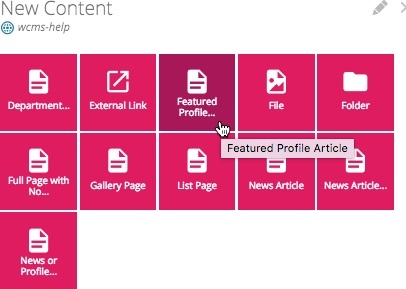 A featured profile page can be used to feature a person, a service, a program, etc. These articles can be chosen to display on the Home Page. 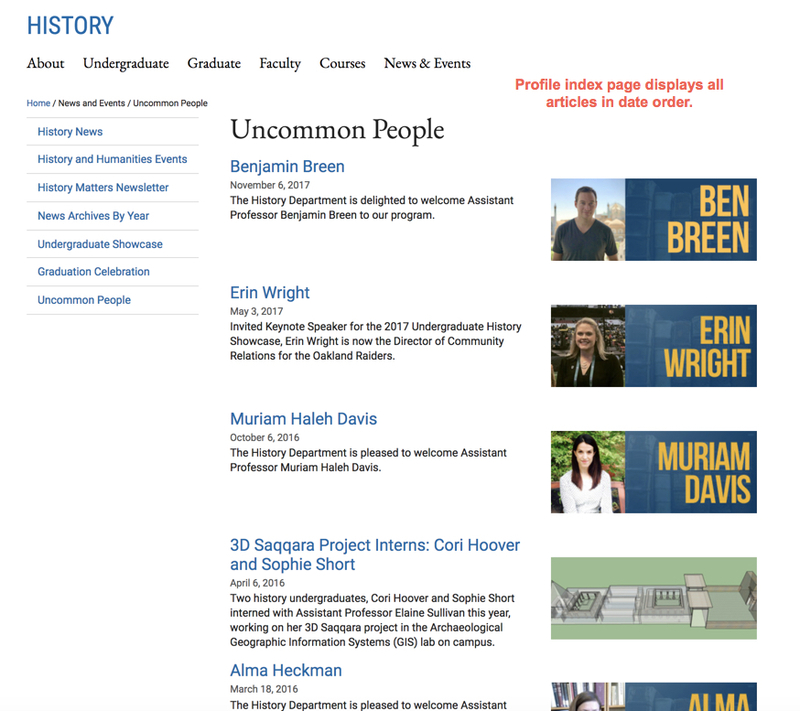 Like the news index page, all featured profile articles are automatically aggregated into a single profile index page. This page is automatically created by the Campus WCMS. 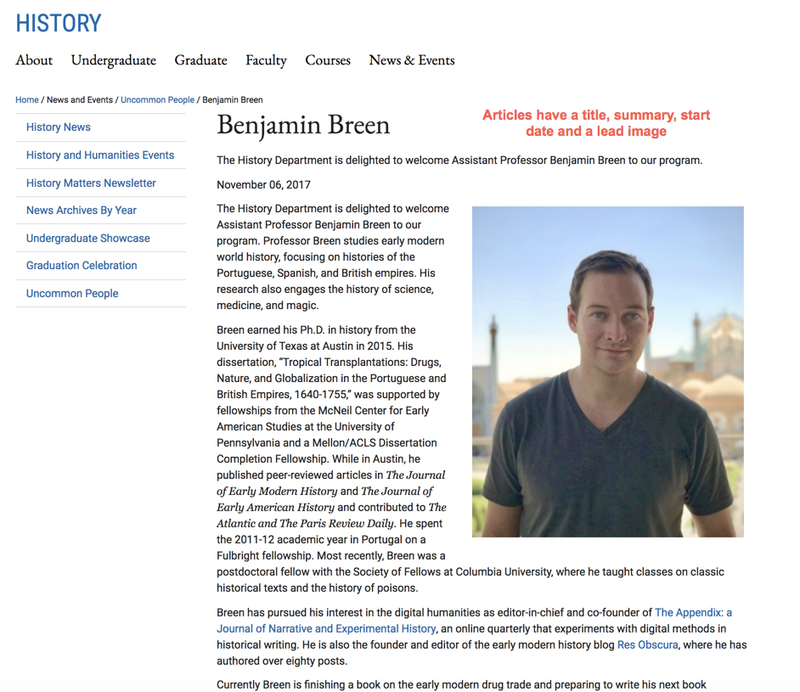 The Featured Profile index page lists all articles in the folder in date order along with thumbnail and article summary. Instructions for creating a Featured Profile are exactly the same as creating a New Article. The only difference is the size of the Thumbnail image (300 X 120 pixels).